Scouts this Friday (27 February) is a wide game. Hope everyone had a good half term break. 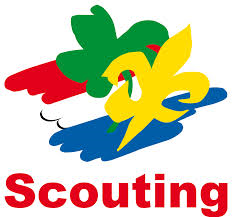 Scouts re-starts this Friday and the meeting will be a wide game. The meeting will start and finish at the Scout Hut at the normal time, but please come in non-uniform and dressed to be outside. Warm, waterproof clothes and boots are important. We have received some information about The BIG Camp which we want to share with Scouts and parents. We have received some further information about The BIG Camp from the West Yorkshire County organisers of the event. Please click on the links below to see arrival and departure information and some “frequently asked questions”. If you want to go to Summer Camp and have not yet signed up, the absolute deadline is Friday 13th February. In order for us to plan the transport and other things for camp, we have to put in place a final deadline for Scouts to sign up to go to camp. If you want to go to camp then a leader must be in possession of your deposit and form by the end of the Scout meeting on Friday 13th February at the very latest. Please speak to a Leader if you have any questions. 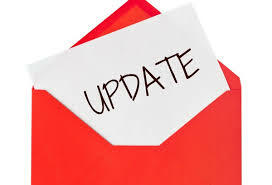 This update includes some important information about forthcoming events and activities. Please read and make a note in your diary. 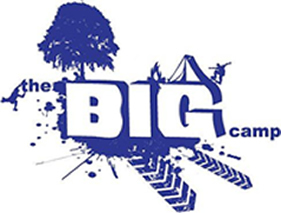 The BIG Camp takes place from 1st to 4th May, and many of you have signed up. We are awaiting further joining details and will let you know as soon as we hear something. If you are still interested in going then please complete the form on the website and hand it to Spider as soon as possible before it is too late. St George is not only the Patron Saint of England, but is also the Patron Saint of Scouting. Therefore St George’s Day is an important date in the Scouting year which we recognise through the annual parade. This year the parade will be on 19th April at Otley Methodists Church. The time is not yet known, but we will let you know as soon as we know. In the meantime please make a note of the date. It is important that we have a good turnout for this. Plans for summer camp in Holland are progressing well. As a reminder it is from 1st to 15th August. This year we are camping at Omen, a place the Group knows well having camped there on a number of occasions, most recently in 2000. You can download and view the latest circular by clicking on the link below. In the coming weeks there will be a dedicated Summer Camp 2015 page put on the web site where all information about camp will be held. If you have not yet signed up to go and would like to, there is still time – just. Please speak to Spider at the next meeting. We are keen that all Scouts are able to progress through their badges. Often badges can be done using a Scout’s own initiative, but we are looking to run activities towards the Cyclist, IT, Camper and Cook badges. Gandhi is the man for all things badges, so remember to talk to him if there is something you are interested in doing, or think you have already achieved a badge.